Founded by Alexander de la Roche St Selskars late 12th century church was dedicated to SS Peter and Paul. It operated as a Priory for the Augustinian Canons Regular. 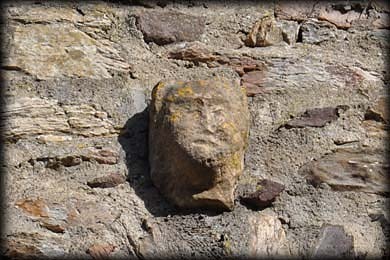 Some evidence points to it being a Pre-Norman church. It is not known where the name Selskar came from but it may have derived from the Norse word "Skar" meaning rock. The Church had two naves divided by the four pointed arches, pictured in the image above. The image was taken from the west end of the northern 30 metre long church. Nothing remains of the east wall and little remains of the south wall. 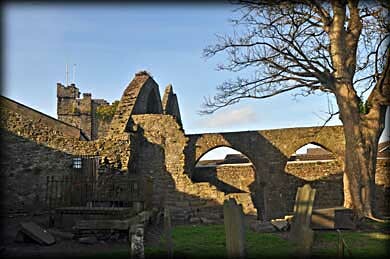 The west wall, shown in the large image below, had two large decorated windows, but most of the stonework is now missing. The abbey was suppressed in 1541. 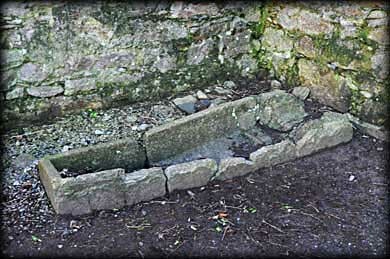 Located at the west end of the northern nave is a medieval sarcophagus, pictured below. 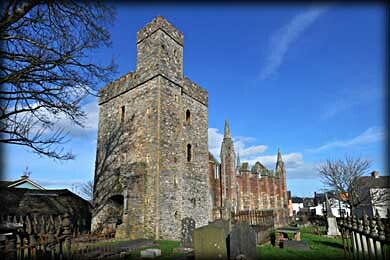 During the late middle ages, the now Parish church, was fortified with a tower at the eastern end of the southern nave. The tower was beautifully built using dressed chamfered Dundry Stone as quoins. The rest of the stone work is dressed granite. Located in an arched recess of west wall there is a 17th century armorial crest and a medieval graveslab. 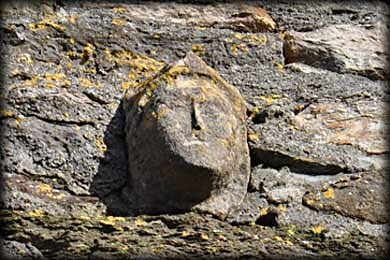 Also situated high up on the west wall are the two head carvings pictured below. The tower can be entered through a modern doorway in the nave of the 19th century church, built at the east end of the medieval church. The gate to this church was locked during my visit as was the abbey. The only way to visit the abbey is by guided tour. 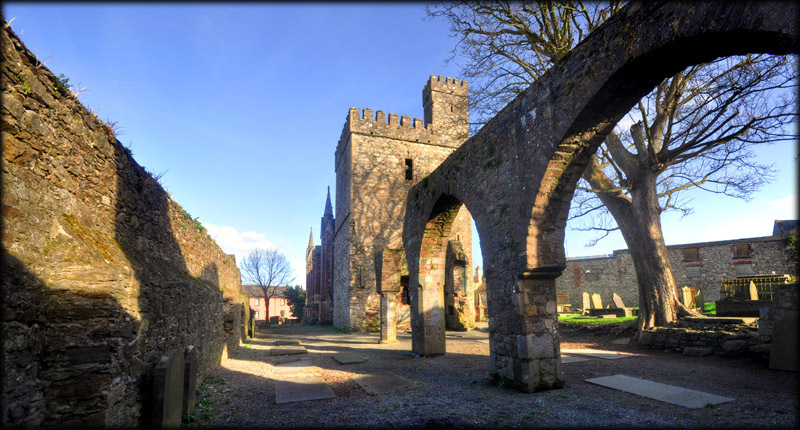 Wexford Walking Tours operate daily tours at 3pm. Situated:From Wexford Train Station head west on Station Road (R730). After 125 metres it bends right and changes to Westgate. The Selskar Abbey is fifty metres up here on your left beyond westgate. Discovery Map 77: T 0455 2218. Last visit Mar 2014.